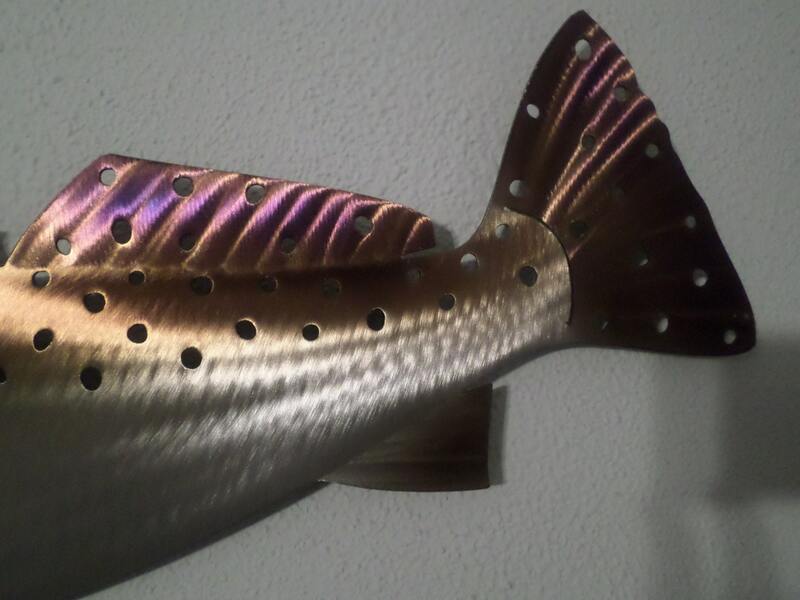 This is a beautiful one of a kind Handmade and Heat treated/Torch Colored Speckled Trout. 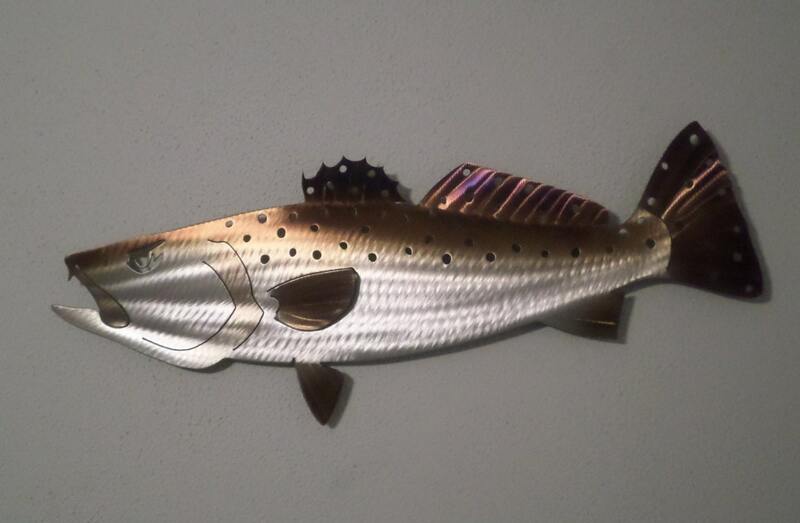 It is hand crafted out of 16 Gauge Cold Rolled American Steel. Each piece is cut out by me then ground and polished. Then they go to my wife where she works her magic with the torch. Along with the grinding this heat treatment gives them the color, depth and that three dimensional look. The micro crystalline sealer we use is great for indoor protection. 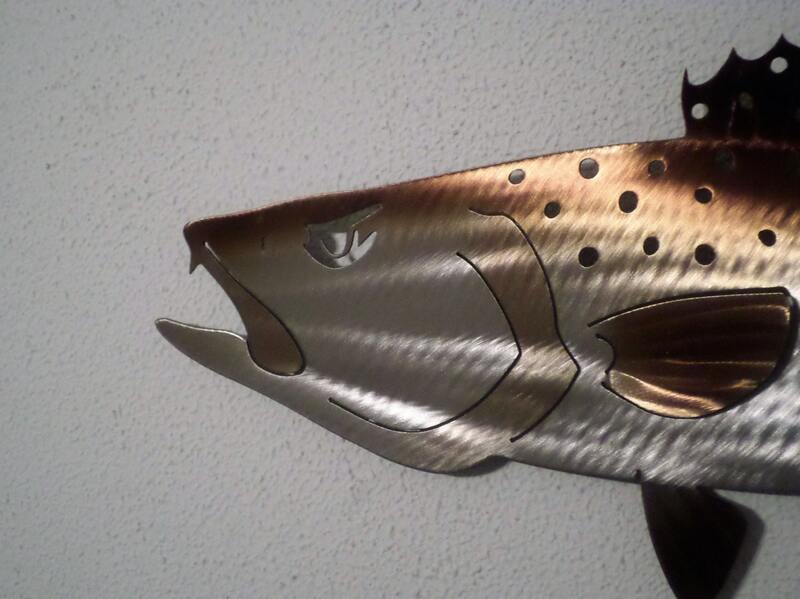 Each fish has two hangers and a spacer welded to the back. So they can be easily hung on any wall. 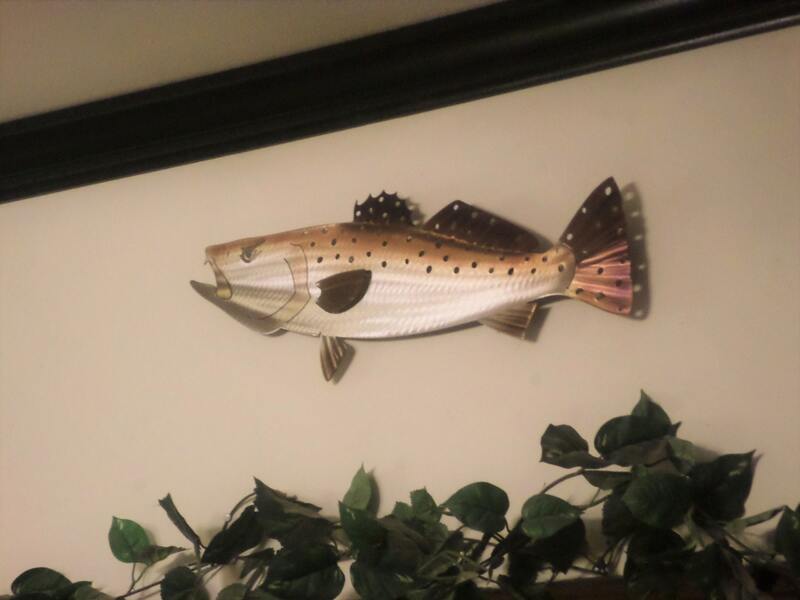 The fish will set off the wall about an 1". 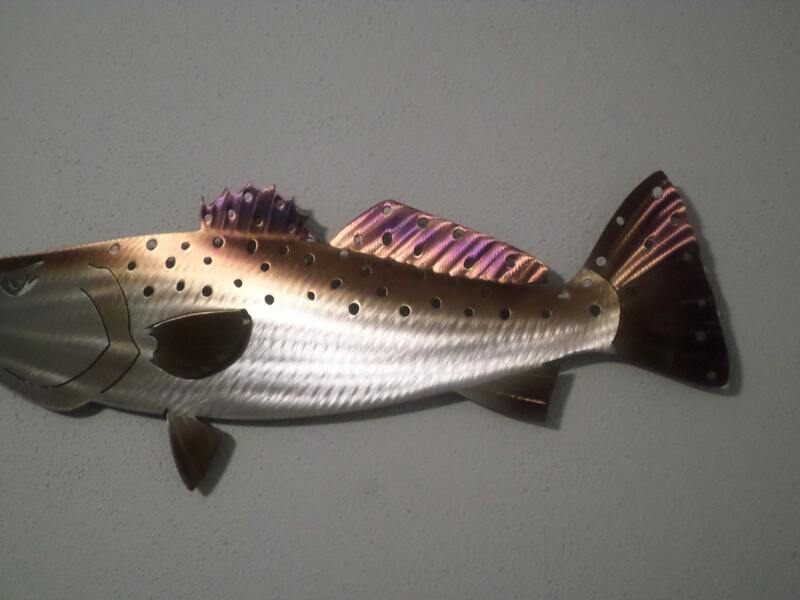 This allows them to cast a really nice shadow and gives a swimming affect.